You can register to receive an email every time there is a new post. 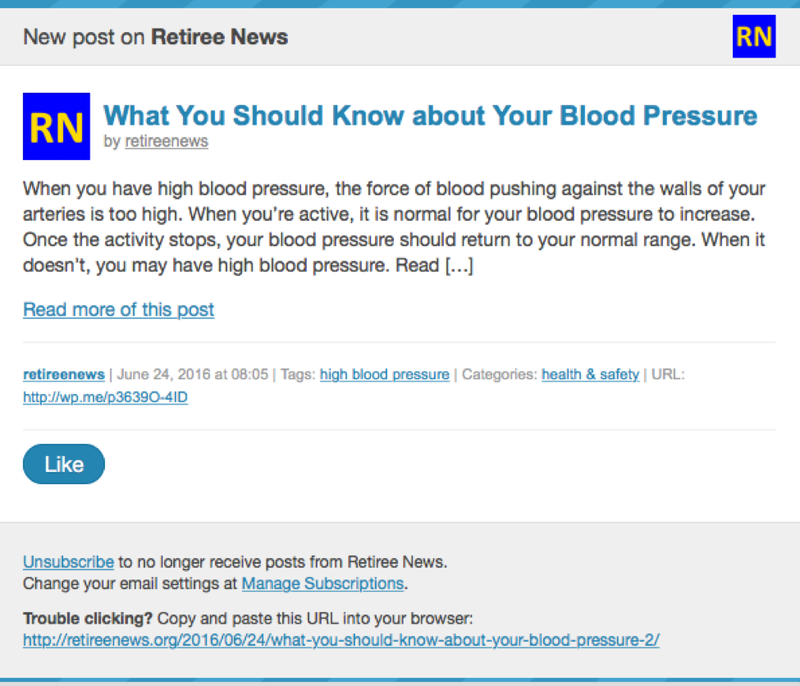 In the “Follow Retiree News via Email” section, on the right column of the website – enter your email address and press “Follow”. Shortly, you will receive a confirmation email to your address from WordPress.com. You acknowledge the email and you are a registered reader. « What’s the IRA Mistake Almost All Retirees Make?